Please join us for our 2017 Annual Meeting. The members and staff of Argyle invite attendees to join them for light refreshments at the conclusion of the meeting. 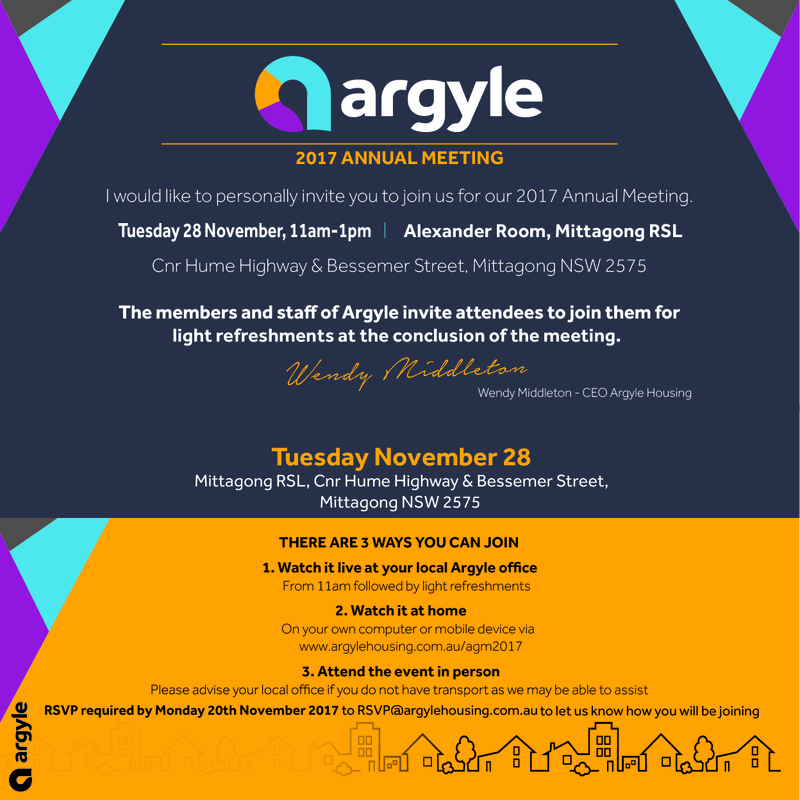 If you would like to join us at the Mittagong RSL Club your RSVP is required by Monday 20th November 2017 to rsvp@argylehousing.com.au to let us know how you will be joining.